Amazon has always been on lookout for gifting it’s customers with best quality and innovative products and that is reason the leading e-commerce giant has a huge fan following. This time the company has revamped and wants to launch it’s All-New, Top of the Line Kindle next week in an all new way. 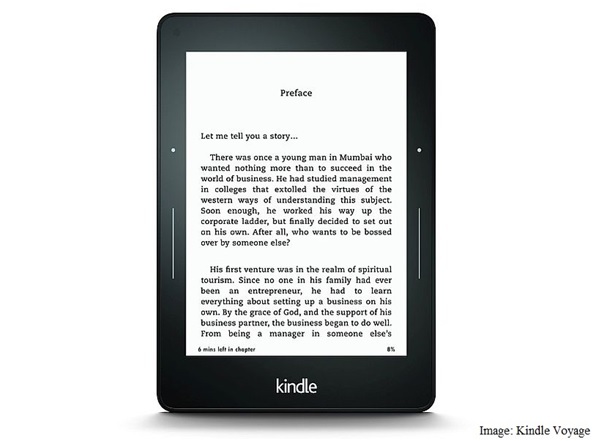 The Amazon Kindle is actually a series of e-readers designed and marketed by Amazon.com. Amazon Kindle devices enable users to browse, buy, download and read e-books, newspapers, magazines and other digital media via wireless networking to the Kindle Store A point worth mentioning here is about the ebook reader Kindle Voyage which was launched in India last year priced at Rs 16,499 and Wireless + 3G version was available at Rs. 20,499. An important information here is about the update released by Amazon for old Kindle devices and update is a mandate for old device models as without it, the readers would stop connecting to the Internet. The CEO Mr. Jeff warned customers to install the update before March 22.